iRobot delivers innovative robots that are making a difference in people’s lives. 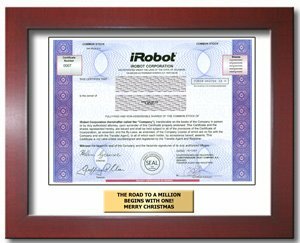 iRobot designs and manufactures behavior-based, artificially intelligent robots that perform tasks from surveillance/reconnaissance, bomb disposal, and sniper detection for the police and military all the way to vacuuming, gutter cleaning, and virtual visiting in your home. What kid doesn't like robots! A share of iRobot will build on that interest.